The protection and restoration of good water quality and habitats is essential when working to restore healthy native fish populations. The GFT has, for many years, been working across the waters of Galloway to identify degraded habitats and then working to undertake or encourage restoration measures to address the problems. 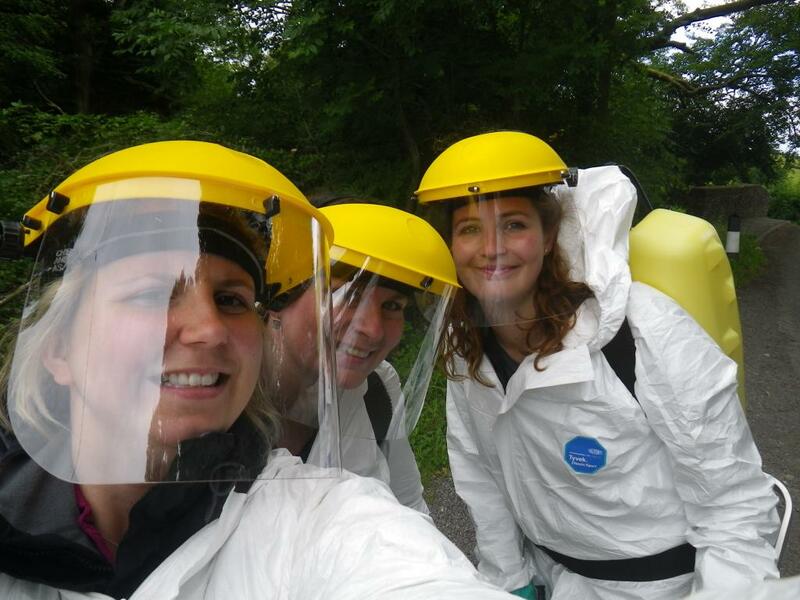 It is important to consider work programmes at a catchment level, particularly when looking for the causes of degraded habitats. 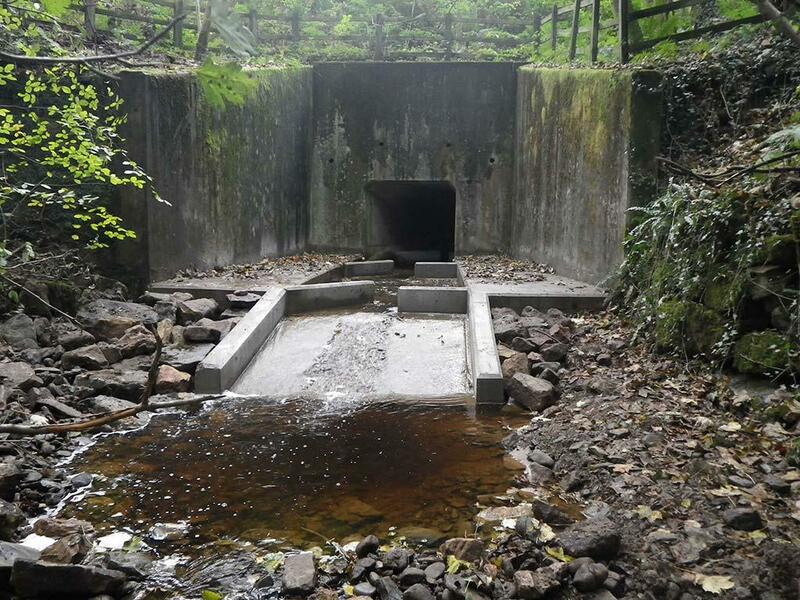 Detailed catchment-wide habitat surveys (GFT have completed full catchment surveys on most rivers in Galloway) help identify, describe and quantify the severity of degraded habitat. Information gained from the surveys allows a list of remedial works to be prioritised which considers where maximum benefit can be gained for the available spend. 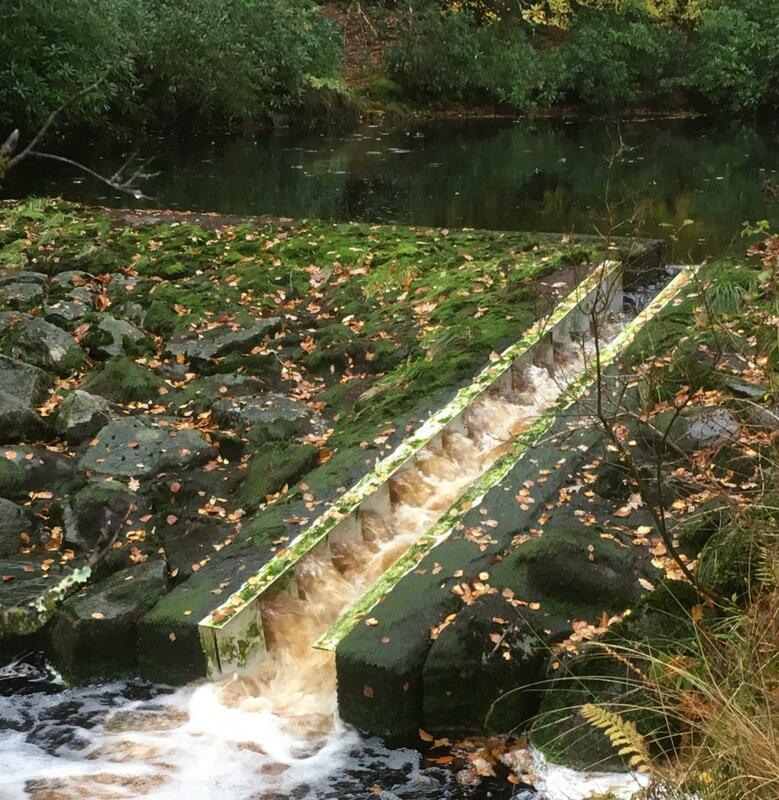 1) Improving access for spawning fish: ensuring that spawning fish can access the maximum catchment area for spawning and juvenile habitat is essential. 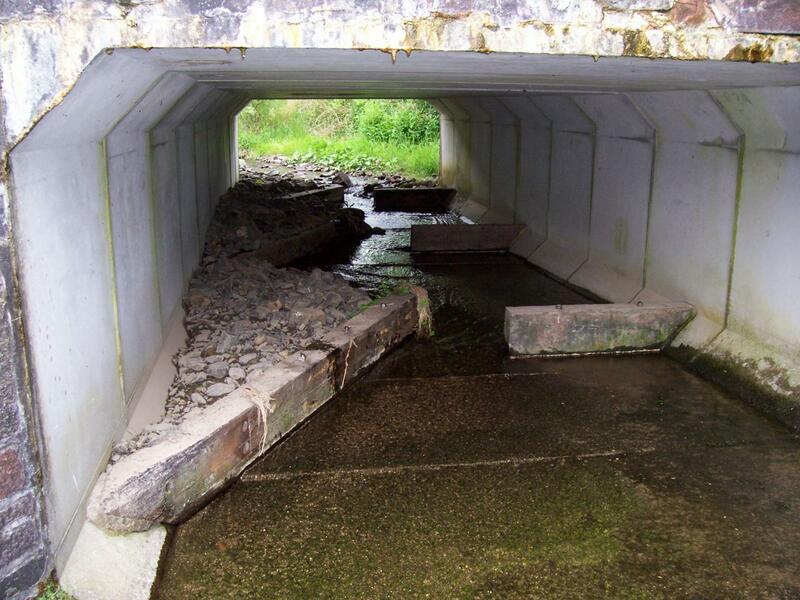 GFT has been working to remove or ease access over man-made barriers to fish migration. Nearly all of the larger barriers have been addressed including breaching Lagafater Dam (Luce); removing dams on the lower Water of App and on a Crosswater of Luce tributary; fitting fish passes to several problematic bridge aprons (Luce, Border Esk, Skyreburn, Cree); construction of a Crump weir on Castle Burn (Cree); replacement of an Irish bridge with a stressed timber bridge and installing a Denil fish pass on Polbae Burn (Bladnoch), breaching an impassable dam on the Clauchrie Burn and the removal of the Creamery Weir on Kirk Burn (Tarff). 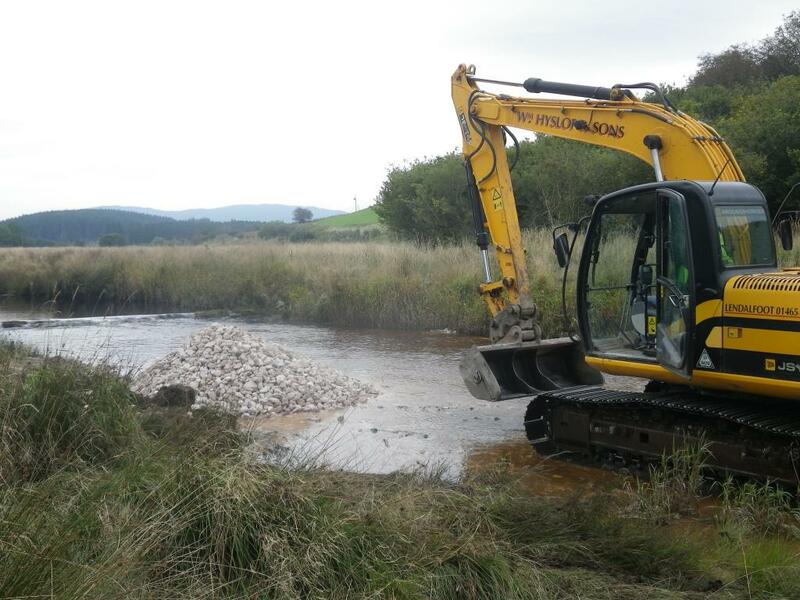 2) Improving and constructing spawning beds: where spawning beds have been degraded or are limiting salmonid spawning potential, work can be undertaken to enhance or re-create spawning beds. Silted up spawning beds can be loosened or cleaned. Limestone gravel beds have been added in acidified areas to help sensitive salmonid eggs to survive the low pH in the High Cree. 3) Improving instream habitat: the number of fish present is closely related to the instream habitat quality. Instream habitats can be degraded by excessive siltation or dredging to improve drainage. Dredging is particularly damaging as it removes larger substrates and leaves wide, shallow, feature-less instream habitat. GFT have improved several dredged burns and as recovery has continued, has recorded a substantial increase in fish numbers and species. Compacted spawning substrates have been loosened with diggers using a large metal tooth in the upper Bladnoch. 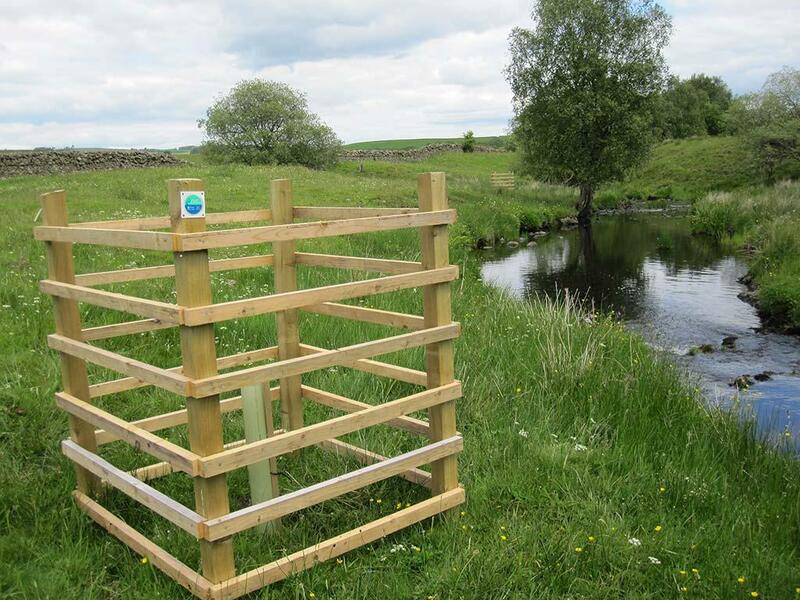 4) Improving riparian habitat: riparian management can have important benefits to the surrounding catchment. Watercourses can be damaged by excessive overgrazing by livestock, over shading by bankside trees or the presence of alien plant species. 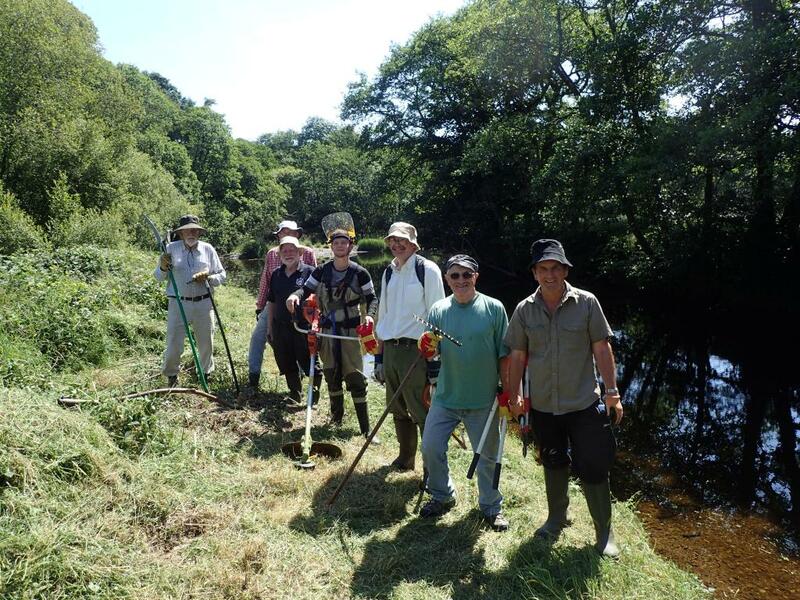 GFT has completed various riparian improvement works including installing bankside fencing, organising controlled grazing agreements, extensive spraying of Japanese knotweed/giant hogweed and skunk cabbage, removal of riparian coniferous forestry and planting deciduous trees in the riparian zone. Work to improve water quality has focussed on addressing acidification through improving forest design plans (e.g. 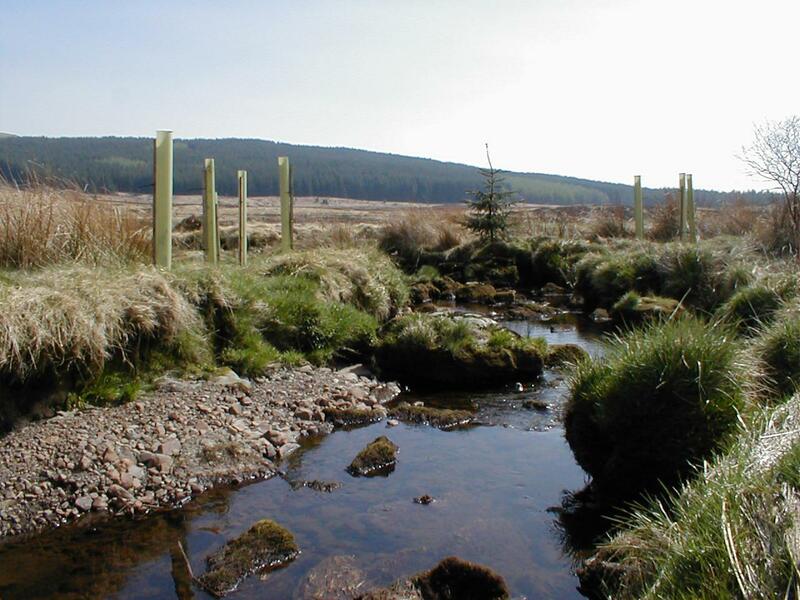 wider buffer zones and removing riparian conifers), removing conifers from deep peats and high altitudes and undertaking peatland restoration.